All scholars must be picked up by 3:30 pm each school day. If scholars are being checked out early, they need to be check out before 2:30 pm. Students will not be called after 2:30pm. Tuesday, September 11th from 7:50-8:30. Tuesday, September 11th from 7:45-8:30. Please join us after you drop off your student in the morning for Breakfast with the Principal. The PTSO will hold a general meeting to share upcoming plans! Everyone is welcomed! 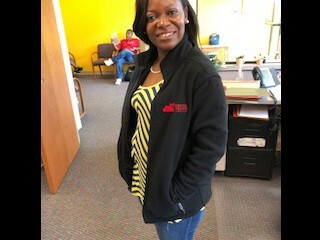 School uniform apparel is available! Please use the link below to order your polo or fleece. Order will be submitted on twice a month on the 1st and the 15th. If the date falls on a weekend the order will be placed that following Monday. It will take 5-10 business days for the order to come in. Apparel will be sent home with student when it arrives to the school. 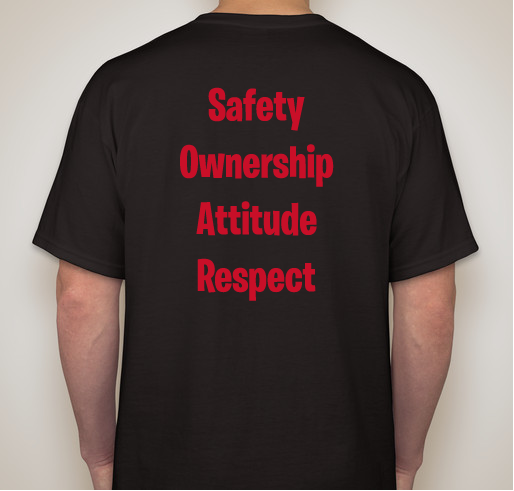 All sizes are available in both polo and fleece; in navy blue, black, and red. 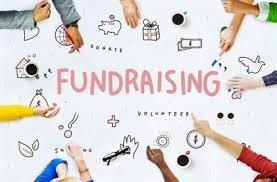 Join us in our K-8 Fundraiser! 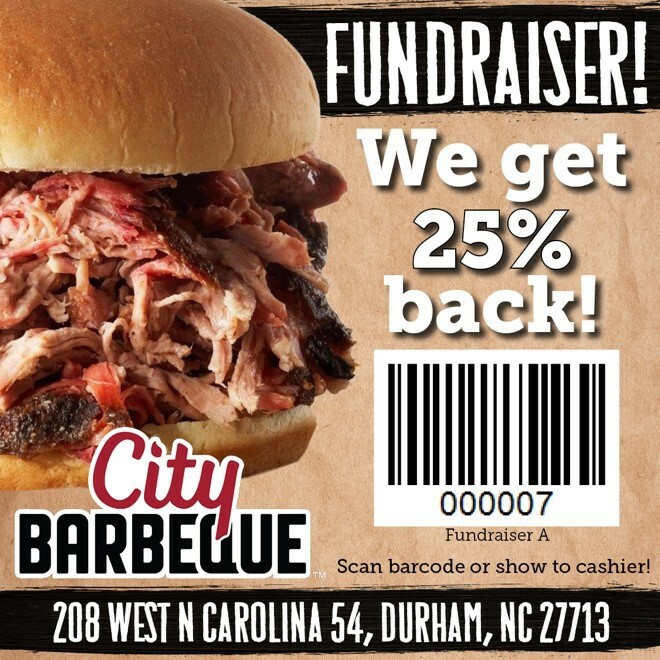 We are excited to announce we have partnered with City BBQ and we plan to hold multiple fundraisers with them throughout the school year. 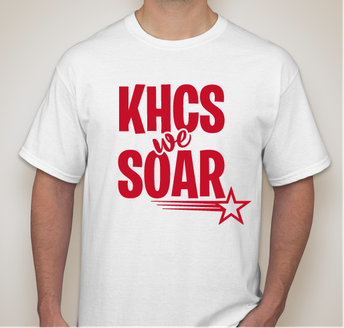 Our first one will be held on next week Thursday, September 13th and Kestrel Heights Charter School will get back 25%! Please be sure to either print the flyer or bring up the barcode on your phone to be scanned (only available at the location provided). 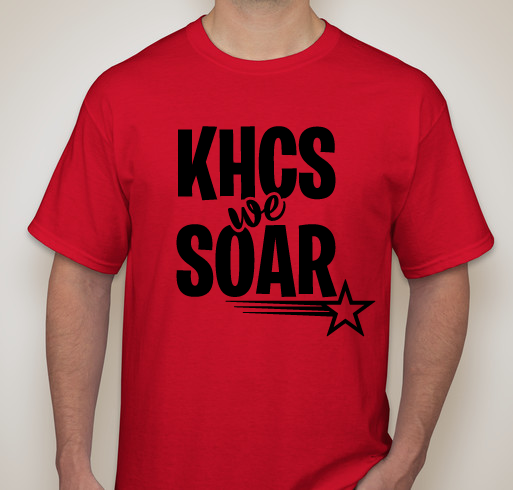 Without this information KHS cannot receive credit for your purchase. Please pass the word (family/friends/Co-workers) by emailing and/or texting the flyer-- there is enough BBQ to go around! Kestrel Heights School Thanks You for your support!!! Just a friendly reminder to pre-order lunch, otherwise a lunch WILL NOT be prepared. You must order lunch by today by 7pm to receive a lunch for tomorrow. If you have pre-ordered already please disregard this email, as it sends to all active school accounts. 2. Review Menu with your child. A “complete meal” is the lunch meal posted on the menu. Menu is posted in the weekly school newsletter. Step 2. There will be a new button to pre-order the meals. Click on Meal Pre-Order then on Select Meals to the left of their student(s) name. Step 3. Select the date and meal selection from a drop down menu. “Complete Meal” is what is posted on the menu. Step 4. Scroll down and click Save Selections. Contact Maureen Gordon if you have any questions. Kindergarten has sent home and begun their monthly homework calendars. Homework is a review of things we have taught in class. Please make sure to complete and return binders to school daily. The reading log at this time can be filled out nightly with a story you have read to your child. This will change throughout the year as your child will begin to read to you. Please let us know if you have any questions. First grade started our first week of homework! Students should be working on completing their monthly reading log, have turned in their math packets, and have studied their spelling words. They will receive new math packets and spelling words each week! 2nd grade is SOARing into the fantastic HMH curriculum. 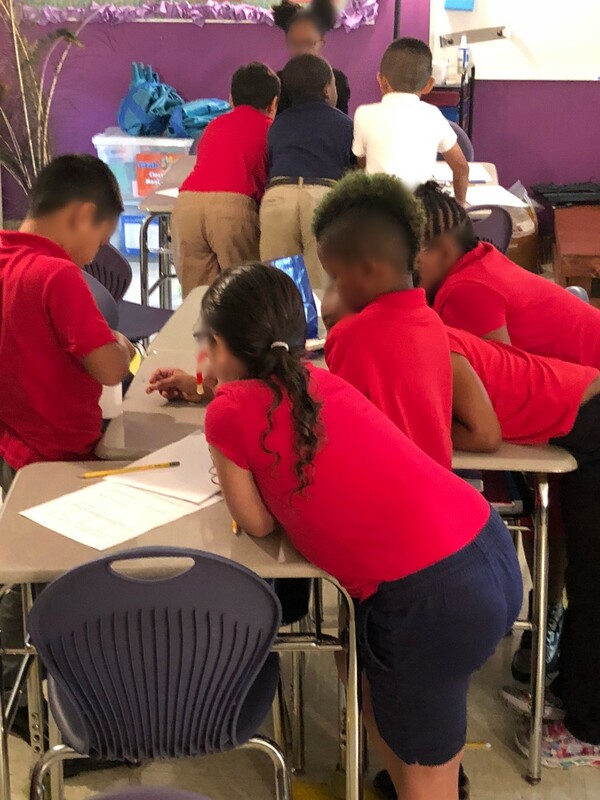 We have finished our first unit in ELA and our scholars are ready to grasp even more knowledge in the upcoming weeks. Be on the lookout for upcoming field trip information. Tis the season to be testing! MClass is underway and moving smoothly. Monday we will have our BOG test. This is the beginning of the year benchmark for third grade students only. Please make sure your child is well fed, well rested, and on time. Remember parents that all third grade teachers are using Class Dojo, if you have not signed up yet please do so ASAP. If you are having trouble please contact your child's homeroom teacher. 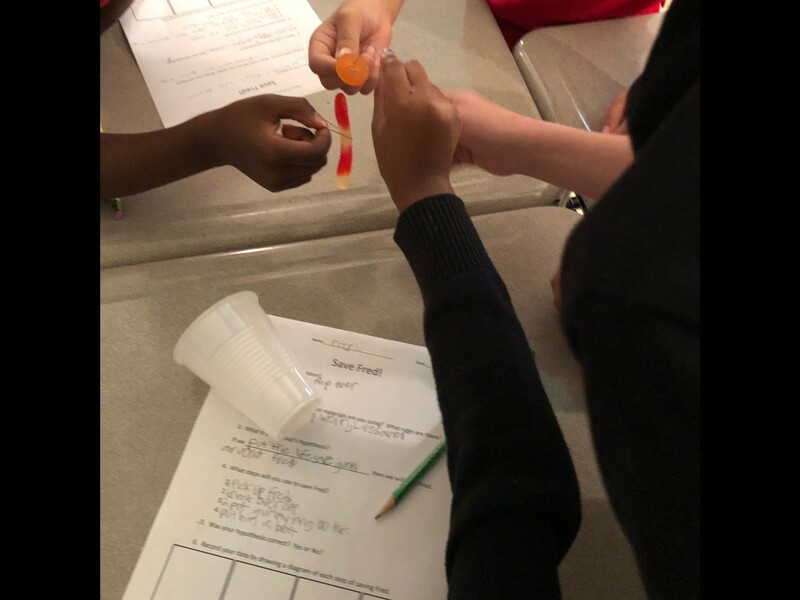 activity on Tuesday when they tried to "Save Fred" the gummy worm, when his plastic boat capsized and his gummy lifesaver preserver went under the boat! All scholars worked feverishly with their only given tools to "Save Fred!" Their written reflections showed they were surprised to learn what you can do with a paperclip, determination, and teamwork! Scholars are diving into curriculum! Fourth grade students have homework every night. Currently, we are having technological issues with our Google calendar for homework so we will post assignments on the respective subject pages. Please be sure you are signing your child's reading log every night! Fifth graders are continuing to study and memorize the 50 states and their capitals. We are working on flashcards each day and will continue to review with the students through Bingo, team competition games, and partner review. We have also enjoyed the song "Tour the States" that many students have used to memorize their capitals. In sixth grade science, we are learning about waves. Extra help will be offered this Friday after school from 3-430! Social Studies: We are currently working with geography and how geography related to the development of civilizations. From there we will connect early civilization development with economics and then civics. One tool we are learning to help with understanding concepts is Document based questioning (DBQ’s). Seventh Grade amazing this week! Please be sure to check your powerschool, we will be updating soon! 8th Grade has been off to a great start in this third week of school. 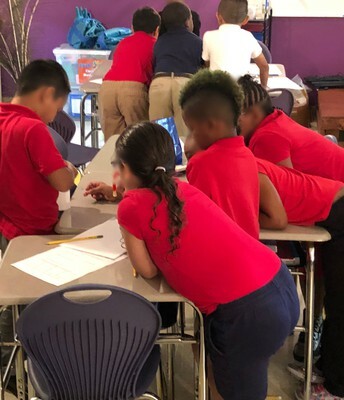 In social studies, students have been studying Native American history and they are working to tell their own stories by making totem poles. In ELA, students have been practicing writing skills with the use of writing prompts and are choosing their National History day topics this week. In science students are finishing the scientific method and in math students are practicing the use of graphing and using positive and negative numbers. Pizza Friday is beginning this week, students may bring (cash only) to school to buy pizza from the 8th grade team. Pizza will be ordered regularly on Friday's and all proceeds will go to 8th grade promotion, the semi-formal year-end dance, and the year-end 8th grade trip. Pizza is $1.50 per slice. The Elementary Dance scholars have had a great start to the first 3-weeks of school! Grades K-5 have started their kicking unit. 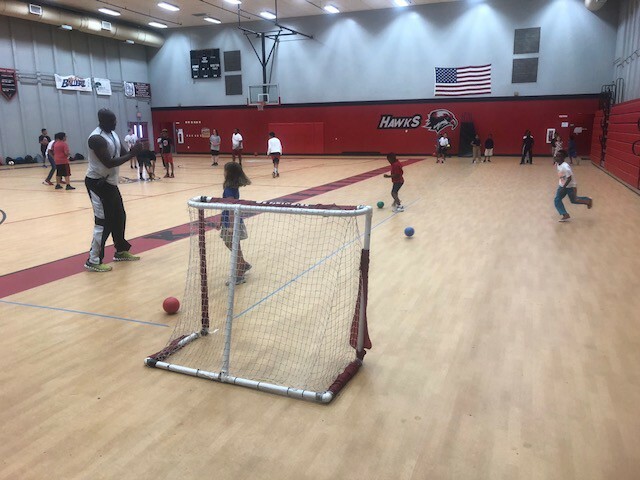 The students are still learning the positive behavior expectations for PE as the start to work on kicking with different parts of their foot and kicking at targets. Middle school students are through with the first week of their football unit. They have been working on learning different movement combinations used in football; throwing, catching, route running etc. 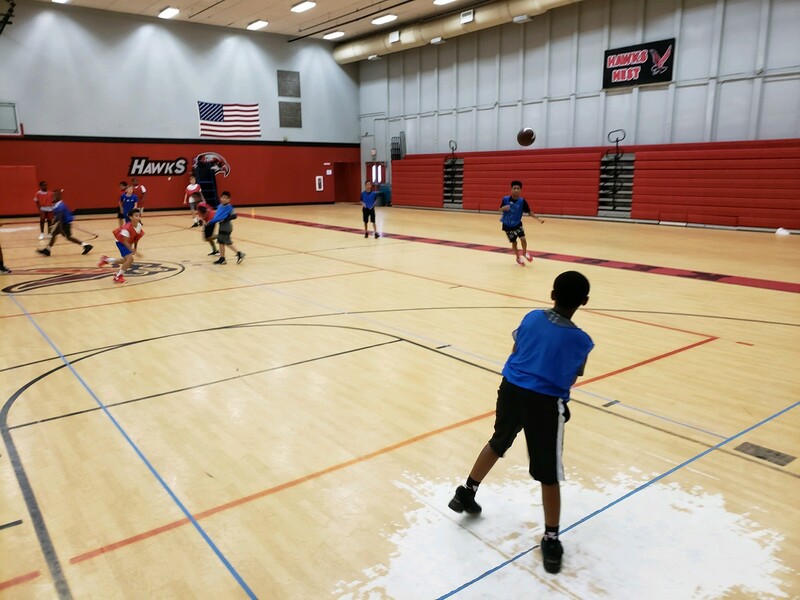 They have began game play; focusing on sportsmanship, strategy and positive behavior expectations in PE. Earn money while working toward a teaching certificate. Substitute teaching can help you decide whether to pursue further education, and in which subject area. Trying out different opportunities can help you identify your strengths and decide on a professional focus. You can network with other teachers and administrators, who can provide valuable advice and professional connections. If you’re retired from full-time teaching or another career, substitute teaching allows you to keep busy, stay involved in a profession, and continue earning some income. Unlike many permanent teachers, you’re not required to be certified in a specific subject area. 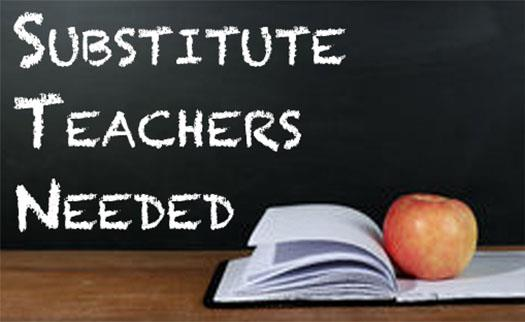 Substitute teaching provides you with practical experience that you wouldn’t otherwise have. You can learn and experiment with different types of teaching styles and classroom environments. Kestrel Spirit Night: Vamos a patinar a Wheels Fun Park! El primer “Kestrel Spirit Night” va a ser en Wheels Fun Park, el viernes 14 de septiembre, de 6:00-9:00 p.m. Los boletos cuestan $7.00 por persona e incluyen el alquiler de los patines. Los padres no pagan si no patinan. Todos están invitados! 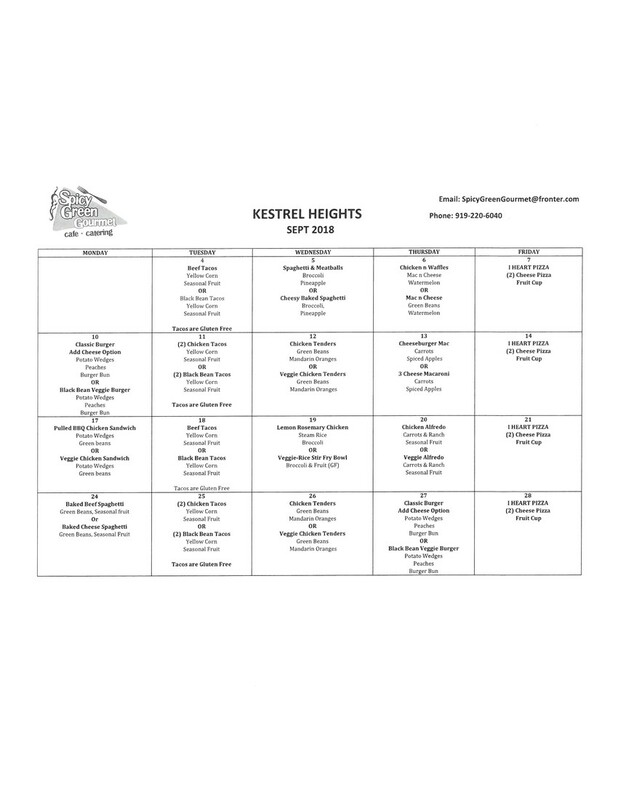 Help Kestrel Heights School earn products and cash by sending in your Boxtops found on many products that you use every day. 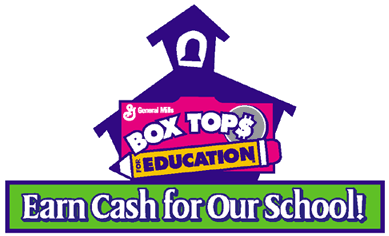 General Mills, Old El Paso, Pillsbury, Green Giant, Ziploc®, Hefty®, Kleenex® and Scott® products offer boxtops on hundreds of products. Your clipped Boxtops can be put into the red PTSO mailboxes that are located in the front offices at both campuses. The deadline for this Quarter is Friday, October 12, 2018. 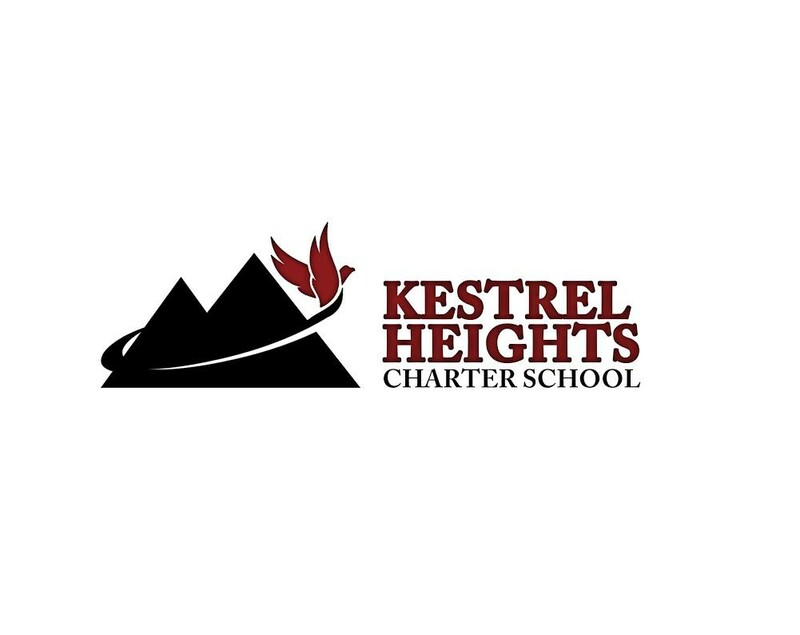 Welcome back, Kestrel families! Your school counselors, Mrs. Callahan and Mrs. Kennedy, are excited for a great year ahead! Please see below for some important counseling updates. Who is my counselor? Mrs. Kennedy is our counselor for "even" numbered grades - Kindergarten, 2nd, 4th, 6th, and 8th. Mrs. Callahan is our counselor for "odd" numbered grades - 1st, 3rd, 5th, 7th, and 8th. 8th grade is shared between the two counselors due to the workload involved in helping our scholars transition to high school. Of course, scholars are welcome to speak with the counselor they feel most comfortable with. 504 plans: If you are new to KHCS this year and your child had a 504 accommodations plan at their previous school, please contact your child's counselor to ensure we have received their plan. Plans do not always arrive from previous schools along with the rest of the student records and we want to ensure we have your child's accommodations set up in a timely manner. If you are a returning family, your child's plan has been distributed to their teachers as of today (Friday, August 24) and we will contact you about annual review meetings at the end of first quarter. If you have concerns prior to that point, please contact your child's counselor. Schedule changes: Please refer to the parent email regarding schedule changes. All schedule change requests must come to the counselors on the form and scholars should follow their plans as written until they receive a printed copy of a new schedule. 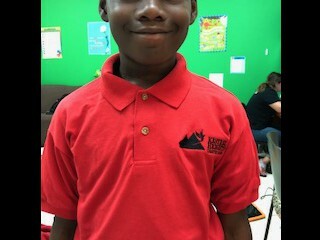 Uniforms and School Supplies: If your scholar is in need of uniforms or school supplies, please let us know as we do have some items available as needed. This year we will have PBIS Spirit Days throughout the year. Each grade level has been assigned a "grade level spirit color". On PBIS Spirit Days, we would like to see students from each grade level sporting their PBIS spirit color! Grade levels and/or classrooms with the most participation may be able to win a prize! 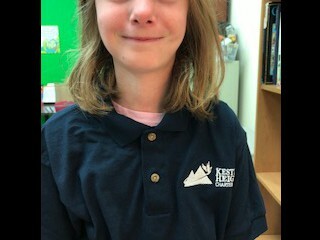 Students have two options for wearing their spirit colors - they can wear a uniform shirt of that color, or wear their specially designed PBIS Spirit Shirt! The proceeds from the PBIS Spirit Shirts will benefit the PBIS program in purchasing stickers, items for rewards, and funding our quarterly PBIS celebrations! PBIS Spirit shirts may also be worn with uniform pants on any Friday of the school year. Grade level cohorts will keep the same spirit color until they leave us for high school, so students can wear the same spirit shirt year after year until they outgrow it!